The mini bike which is also known as minimoto or pocket bike is a miniature motorcycle. The 2-Stroke Engine Motor Pocket Bike generally have chain drive. 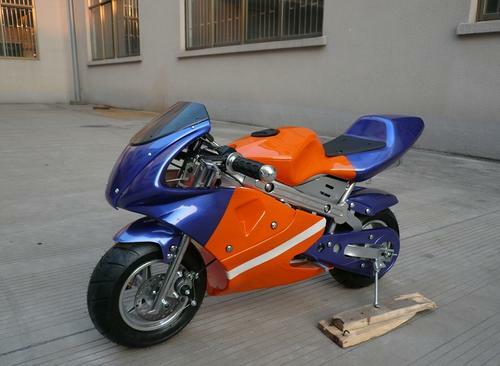 The build is similar to sports bikes and they are used in racing for pocket bikes on the tracks of the go-kart. The 2 –stroke engine used can be from 39CC up to 50CC. They are not toys as they are often considered. 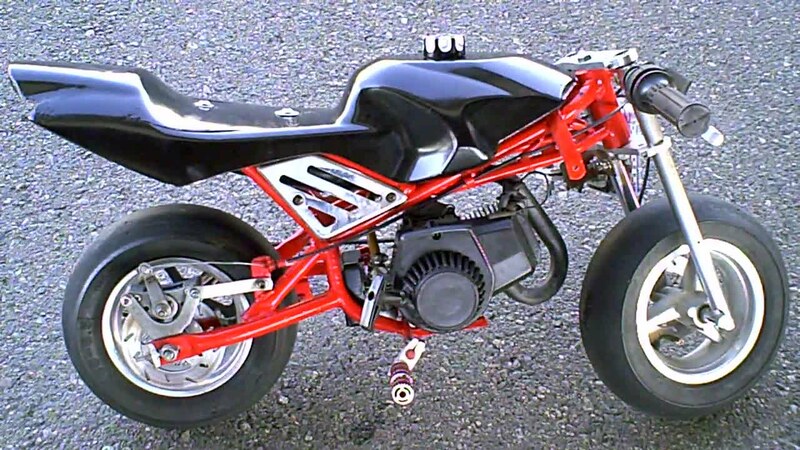 The 49CC engine bike can reach the top speed of 30 to 45 mph. The gasoline-powered bikes are significantly faster than the electrically driven bikes and need better skills to handle them. Most people buy the DIY mini bike kits and treat it as the father-son project. As safety is of prime concern let us see how a custom pocket bike can be built safely. The DIY kits may or may not contain the frame for the bike. You can go for the kit with the frame or buy it separately. You could also make a frame using the pipes from the frame of an old bike. Choose a well-designed strong frame as the engine, wheels, and seat will be fitted on this frame. Engines are available in air cooled or liquid cooled variations. Liquid cooled engines are more powerful and faster than the air cooled ones. But they are costlier than the air-cooled engines. The maintenance cost of the liquid-cooled engine is also higher. However, the performance of the liquid cooled engine is superior. You can certainly mix and match the bike parts while building one. You must take care to match different parts and ensure they are compatible. 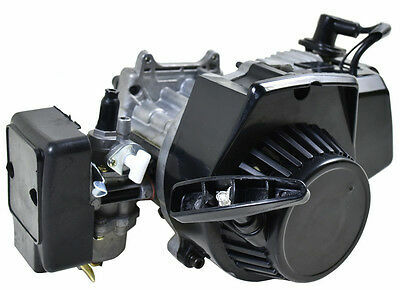 It is easier if you are buying the parts and engine of the same brand as they are matched by the manufacturer already. The 2-Stroke Engine Motor Pocket Bike uses petrol mixed with two-stroke oil. The oil helps in keeping the engine well lubricated. In most cases of starting troubles, the cause is found to be the fuel mixture. Please refer the mixing chart and stick to the recommended ratio. 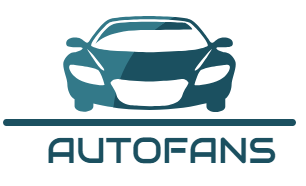 Too lean a mixture can cause more friction and damage the engine parts whereas too rich a mixture interferes with proper combustion and creates more carbon deposits that will bring down the efficiency of the engine. Once your pocket bike is ready you must ‘run –in’ the bike. This is most important as the performance of the bike depends on this. The first 3- 4 tanks of petrol should be used for the running in. During this time a petrol oil mixture of 25:1 must be used. During this period the moving parts of the engine get set well. During this period you must not rev up the engine to the maximum as this can damage it. Building a custom 2-Stroke Engine Motor Pocket Bike can be done safely by following the guidelines discussed above. Regular preventive maintenance and timely replacement of worn out parts will result in the bike serving you well and have fun riding or racing it.